1.Laboratory chair without a back or arms,Adjustable high scope is about 440-600 MM. 2.With the use of high quality plated axial lead, stool surface once molded of FRP. 3.The grounding part is rubber material,It is good for protecting the ground and avoid the accident vibration during lab experiment. 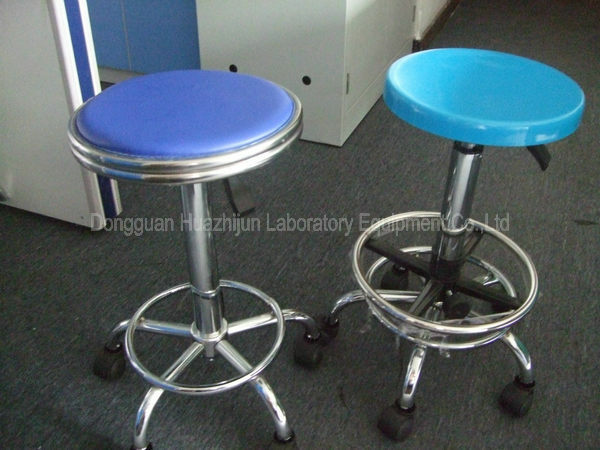 4.Wheeled, swivel lab stool in metal,they can be height adjustable. 5.The chair noodles diameter is 320 MMs probably, 350MMs can choose,blue or white. 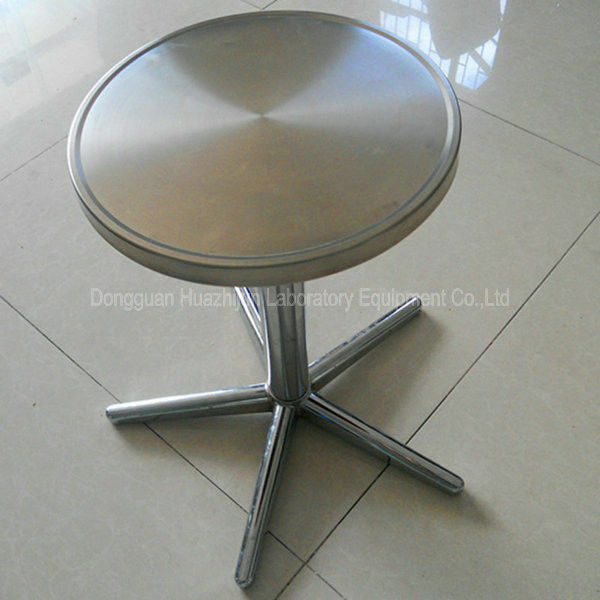 Surface With the use of high quality plated axial lead, stool surface once molded of stainless steel. Base Electroplate five planets feet, nylon plastics wheel.fixed foot and universal wheels optional. 360° Swivel Stain Resistant,Pneumatic Adjustment. Contral Screw jack or Pneumatic jack.